We fell in love with Katy's vibrant and joyful work over a year ago when she was a vendor at our one & only artisan market. We're so happy that we've kept in touch, and thankful that we get to spend a couple weeks with her in the Ou-telier!! 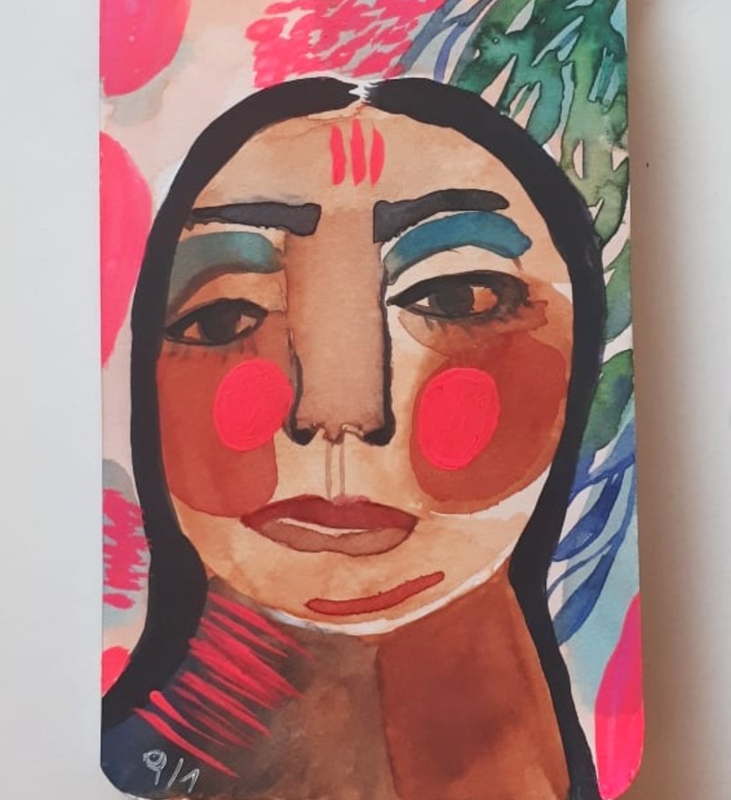 A Chilean mixed media artist living in the west coast of Canada, Katy graduated from Design school in Santiago of Chile, and dedicates her life and work to creating original artwork. 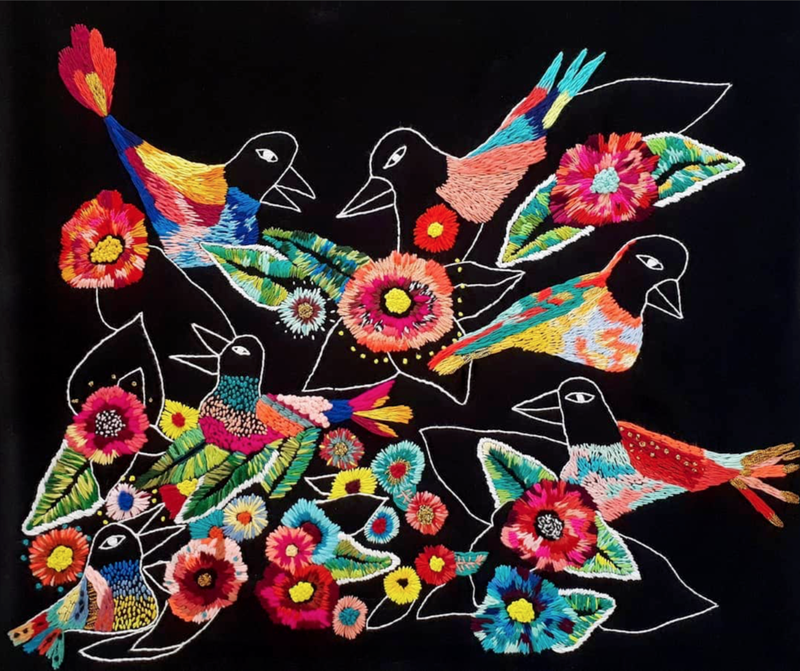 Her main focus is textile art mixed with paint. She creates bright pieces, exploring textures and themes inspired by her South American culture.